SFFF Day 3 – Actually, They’re All Labyrinths – Make Mine Criterion! The SFFF’s eventual audience favourite (an honour it shared with Bad Black), Dave Made a Maze finds Annie (Meera Rohit Kumbhani) returning home to discover her boyfriend Dave (Nick Thune) lost in a small cardboard maze (immense inside, modest outside, and technically a labyrinth because of the traps Dave’s built into the maze as well). With Dave’s best friend Gordon, a documentary team led by Harry (James Urbaniak), and various sundry others, Annie enters the labyrinth to save Dave from his handmade booby traps and his own sense of inadequacy. 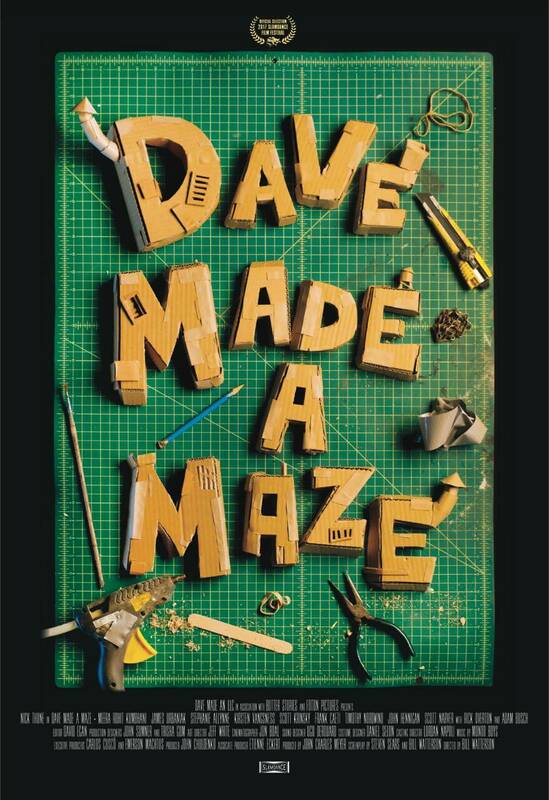 Dave Made a Maze is an absolute triumph in production design, using fridge boxes, playing cards, and twine to create a complete world of craft box perils. The film works best when mocking its need for earnestness, using the documentary crew’s absurdly serious efforts as a foil against Dave and Annie’s personal issues, never letting them weigh down the delight of a space where origami cranes and paper bag puppets describe mortal danger at its most laughable. Dave Made a Maze never loses sight of the joy of sitting in an empty refrigerator box and makes real the marvellous imagination that allows that box to become a rocket ship, a submarine, an ancient treasure chamber, or a labyrinth. 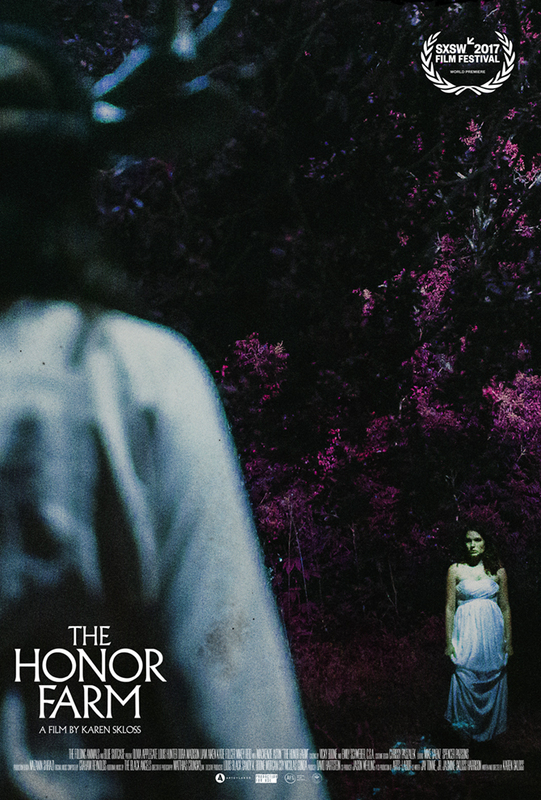 The biggest failing of The Honor Farm (Karen Skloss, 2017) may be its own trailer which makes the film look like some pagan horror/slasher combo. 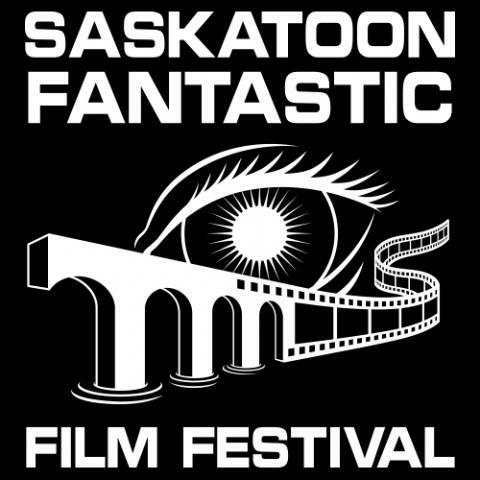 The SFFF was far more successful in previewing Skloss’s movie with its preceding shorts. Born of Sin (William Boodell, 2017) plays bait and switch with satanic horror, anticipating The Honor Farm‘s own pivot around both human and inhuman horrors. The Night I Dance with Death (Vincent Gibaud, 2017) gets at the psychedelic heart of The Honor Farm, depicting the good and bad of a drug-fueled night partying through some vibrant and abstracting animation. Skloss’s film follows Lucy (Olivia Applegate) from prom night disillusion to horror film terror as she, her friend Annie (Katie Folger), and a group of other students venture to the Honor Farm, a decommissioned prison with a terrible history. Satanic rituals, evil spirits, unhinged killers, and folkloric terror all make appearances, but The Honor Farm operates on the level of metaphor, delving deeper into Lucy’s existential concerns through an increasing barrage of hallucinatory images. Ultimately, Skloss creates a film that is intriguing enough, even if it never quite coheres into something sufficiently fantastic and never quite resolves into something sufficiently gratifying as promised by its splendid imagery. Writer-director Liam O’Donnell was in attendance for his film, Beyond Skyline (2017). This sidequel to 2012’s Skyline takes a different look at that film’s alien invasion, moving from the blasted-out streets of Los Angeles to the inside of the alien spacecraft to the Buddhist temples of Laos. Frank Grillo stars as Mark, a cop fighting extra-terrestrials to protect his son and then a child that might hold the key to saving the planet from alien subjugation. He finds an unlikely ally in a Laotian guerrilla leader (played by Indonesian action star Iko Uwais) ready to knee and kick this latest round of invaders from his beloved homeland. Beyond Skyline fully embraces its blockbuster ambitions, genre-hopping from sci-fi spectacle to martial arts mêlée and back again with awesome visual and practical effects. O’Donnell remarked that anyone not enjoying the film should give it five more minutes because it will turn into something else soon enough. Beyond Skyline does meander through all manner of action movie tropes and contexts, but its craftsmanship and its fidelity to own generic obligations make it a widescreen marvel. And if that isn’t enough to entice fans of great fantastic cinema to Beyond Skyline, consider this: O’Donnell acknowledged during his Q&A that fights between his giant kaiju-type creatures was specifically animated through CGI to recall the stop-motion work of Ray Harryhausen. How cool is that? 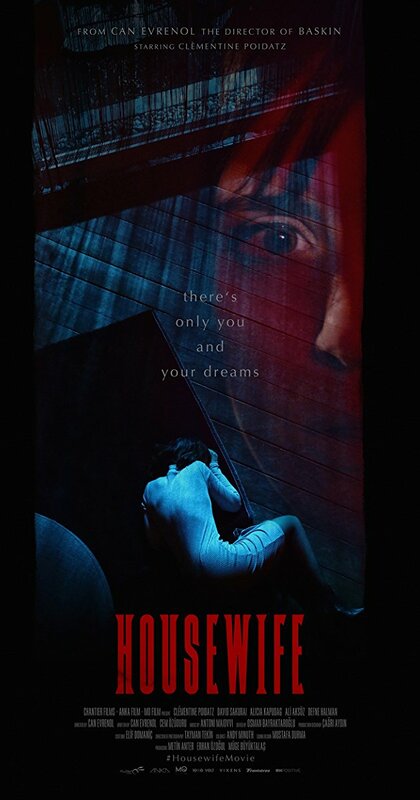 Can Evrenol’s Housewife (2017) finds its starting point in true horror – a young girl, Holly, witnesses the murder of her sister and father at the hands of her crazed mother. In adulthood, Holly (Clémentine Poidatz) is the lonely and secretly traumatized wife to a professional skeptic/author (Ali Aksöz). When a long lost friend returns to expose Holly and her husband to a quasi-religous organization and its cult-like leader, Holly discovers an unsettling liberty in the guru’s entry into her mind. Housewife mixes ancient mystical orders with corporatized religion and blends dream and reality to create modern tale full of dread and prophesy. Its premise is full of potential, but Evrenol’s choice to have foreign actors work in English creates a dissonance that is not always complimentary to his out-of-sync world, particularly when it comes to the cult’s leader (David Sakurai), and the film has issues in pacing out its plot. When Holly finds herself late in the film shrieking, “What’s happening?”, I can only reiterate her frustration. Housewife looks evocative enough, seeming to owe an obvious debt to Dario Argento in its vibrant colours and idealized femininity, but its narrative issues end up leaving it appearing like off-brand Clive Barker. To its credit, its Carpenter-like ending and its fearsome final shots are arguably Housewife‘s best moments and are what remain to haunt me once the film ended. Returning to Day 3’s short films, the day kicked off with Fun. (Greg Kovacs, 2017), a gruesomely hilarious Sesame Street parody that nicely set the table for the absurdity of Dave Made a Maze. 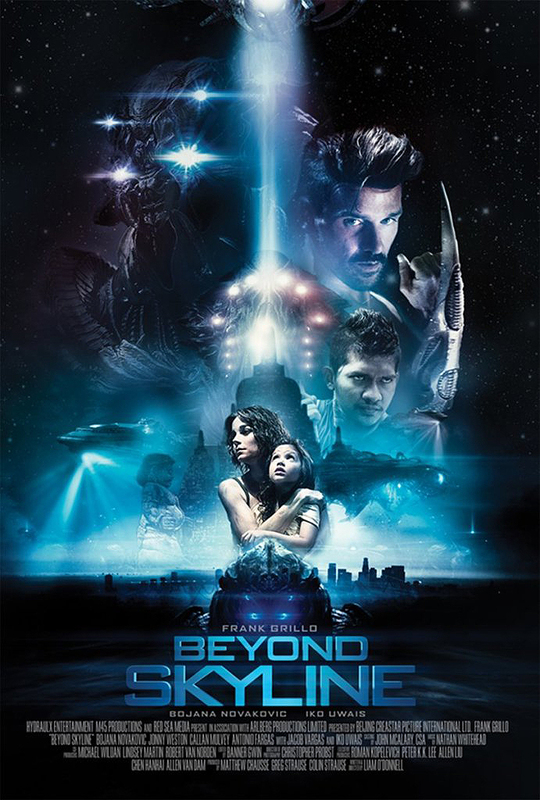 Beyond Skyline opened with the short film Invasion Day (Vincent De Bellis, Milos Erastotene, Terence Guilpin, Léo Lefebvre, Raphaël Leylavergne, Arthur Loiseau, Mohamed Oumoumad, and Dimitri Trouvé, 2016), a VFX spectacular about Paris under attack by a gigantic alien spaceship that offers a clever recasting of its events through a simple change in perspective. Housewife was preceded by two horror shorts. The first, L. Gustavo Cooper’s Amy (2017), imagined the terrible actions of American history’s most prolific female serial killer with startling style and wild, surreal physicality. Natalie James’s Creswick (2017) explored the haunted nature of a woman’s childhood home as she helps her father pack it up. Like Amy, Creswick is impactful in its oppressive atmosphere and creepy imagery, but it is equally slight as both shorts prefer hair-raising images over narrative insight. 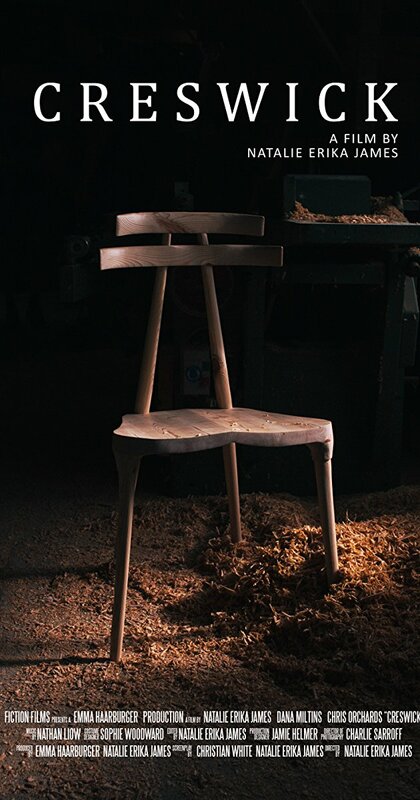 As with Cooper’s previous short The Home, Amy and Creswick both leave you wanting more partly due the impressive construction of both shorts and partly due to the need for greater meaning behind their images. Check back soon for MMC!‘s report on the SFFF’s final, jam-packed day featuring Lowlife, The Endless, Les Affamés, November, Plan B, and Takashi Miike’s 100th film, Blade of the Immortal. Spoiler warning: It was by far the SFFF’s best day of programming!